How to Care for Your Garbage Disposal | MarGo Plumbing Heating Cooling Inc.
Onion layers: They can hinder the movement of the blades. Egg shells: They won’t sharpen the blades, contrary to popular belief. Nuts, shells, seeds, and pits: These are just too hard for the garbage disposal. Animal bones: Unless specifically deemed capable of handling them, animal bones will ruin your garbage disposal. Stringy Fruits and Vegetables: Stringy vegetables, like celery, will wrap around the blades and cause problems. Keep it clean: A little bit of dish soap, cold water, and a minute of running time can go a long way in keeping your disposal clean and free of smells. Run it regularly: Keeping your garbage disposal moving frequently prevents rust and corrosion. Always run with cold water: Cold water will help solidify any greases and oils, thus allowing them to be ground up before reaching the trap. Cut large objects down to pieces: Smaller, bite-sized pieces are better for the disposal than large chunks. 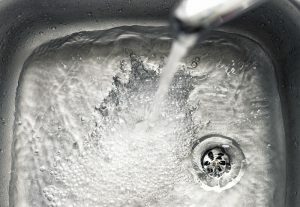 Bad, stubborn smells: If you don’t clean your garbage disposal, it can get some nasty smells. But if you have been diligently cleaning and rinsing and can’t get rid of odors, there may be particles of food trapped in the unit. Have a professional come to remove them. It makes weird noises: Use a flashlight to check the drain; see if there are any unusual objects like silverware or hard waste. If that doesn’t fix it, then it could be something serious that needs inspection. It leaks water: A crack and a leak in your disposal mean it’s time to replace. Repairs just aren’t feasible. Always pressing the reset button: The reset button is necessary for rare instances. If using the reset button is a daily occurrence, however, then it’s time to move on and get a new garbage disposal. If you need help with your garbage disposal, don’t hesitate to reach out to a pro. Contact Margo Plumbing Heating Cooling Inc. today.